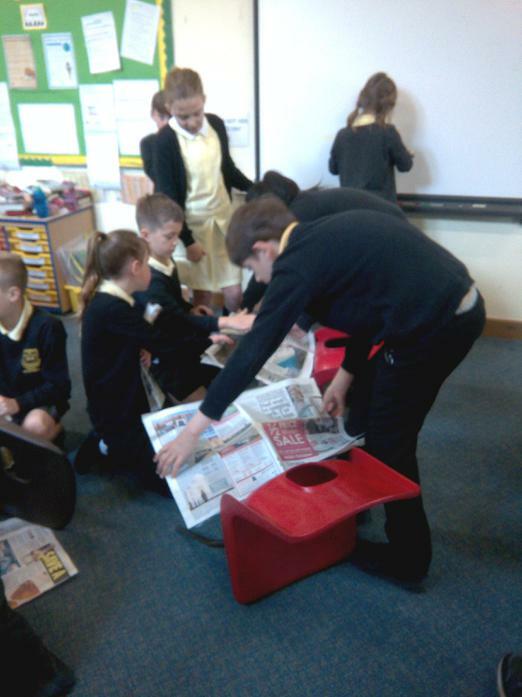 On Monday 16th May, Year 5 were set a challenge to build a bridge out of newspaper. Although this sounds simple, it involved a huge amount of teamwork and communication. 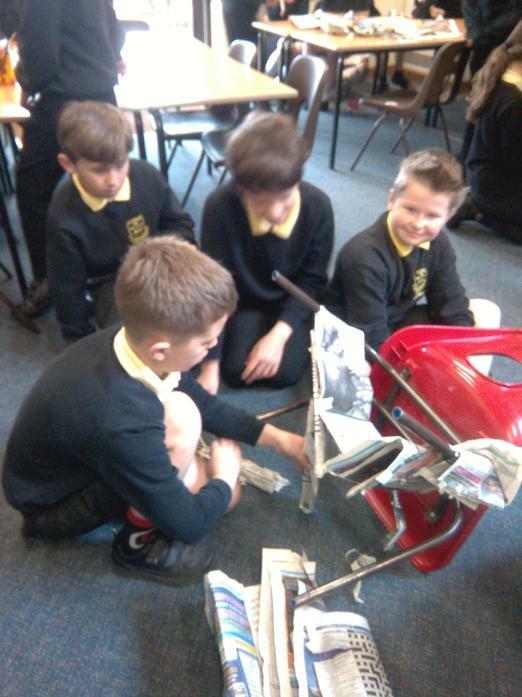 Every group was given the same amount of newspaper and masking tape. The bridge had to stand unsupported and hold the weight of 500g and 1kg. 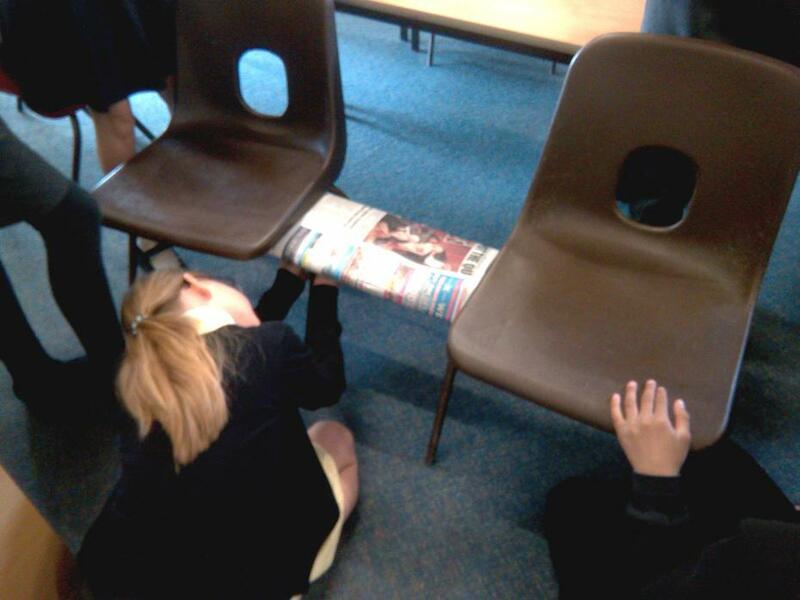 One group was able to make a bridge that held the weight of 2kg! 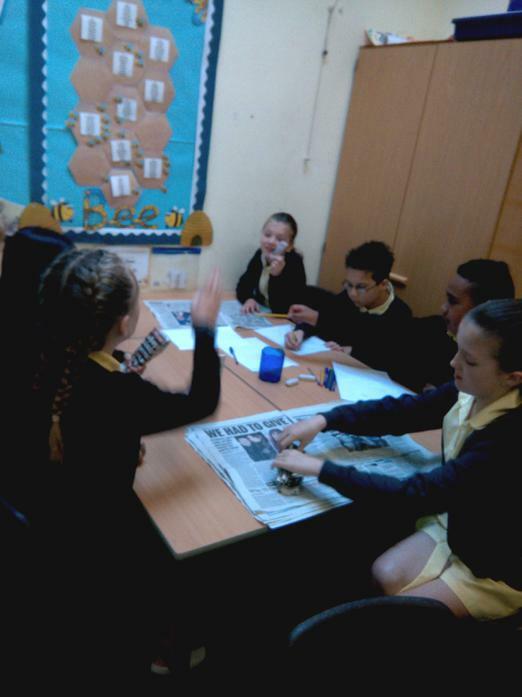 The children had great fun and were able to listen carefully to ideas and work together.